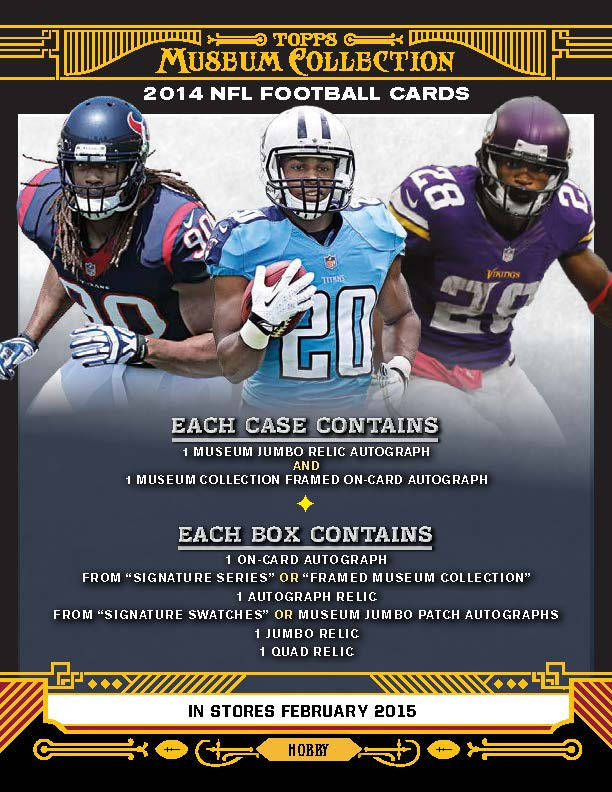 2014 Topps Museum Collection Football is due in Wednesday and promises to deliver many amazing hits. 2013 Museum Football was a favorite with Sports Cards Plus collectors, even with the poor rookie class. This year's rookie class is much better. If Topps continues where they left off with 2014 Topps Chrome Mini Football, expect 2014 Topps Museum Football to quickly go up. 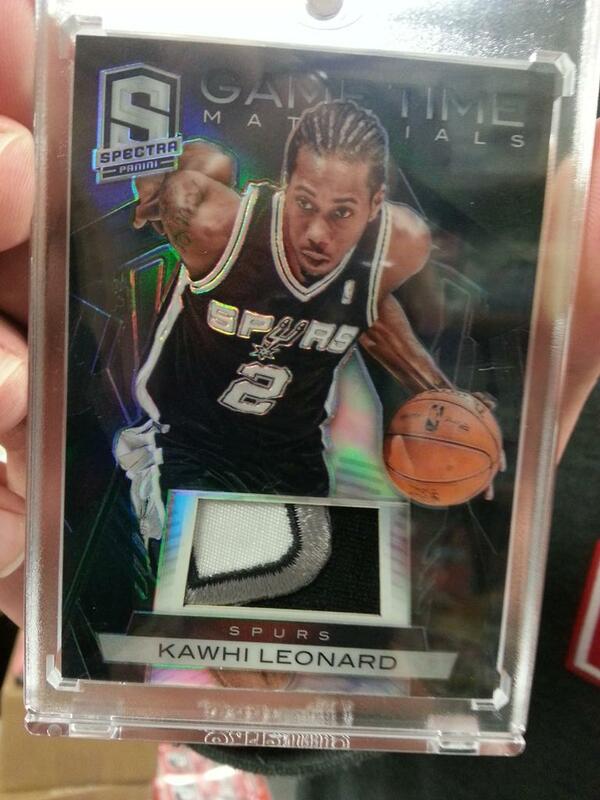 So go to Sports Cards Plus on Wednesday and pick your box from The BEST CASES in The Hobby. Also due in Wednesday is 2015 Topps Heritage Baseball, using the 1966 Topps original design. Inserts include one autograph or relic per box: dual autos, triple autos, cut autos, buyback originals, parallels, and variation base cards which many have avidly collected. The winners of our Saturday Night $500.00 Drawing are Brad J ($300), J Austin ($100), Delia ($80) and Daryl L ($20). Congrats to our winners and thanks to The World's Greatest Customers for entering our contests. Get a FREE Entry to our next $500.00 Drawing with EVERY purchase of $20 or more. Entry amount equals the amount of your purchase. 2. 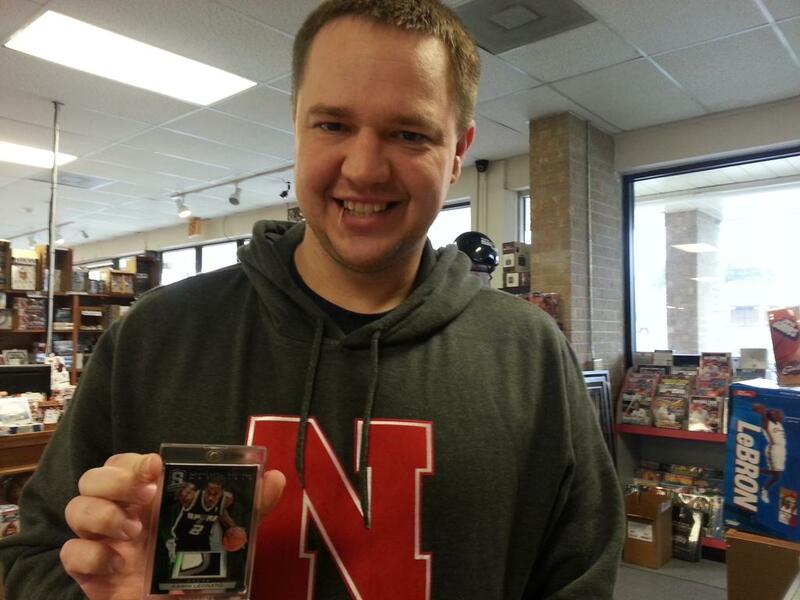 Four Winners receive "A Year's Supply of Panini Trading Cards." 3. 125 Winners receive "An Autographed NBA Draft Day Ticket or 8" by 10" Photo. 4. 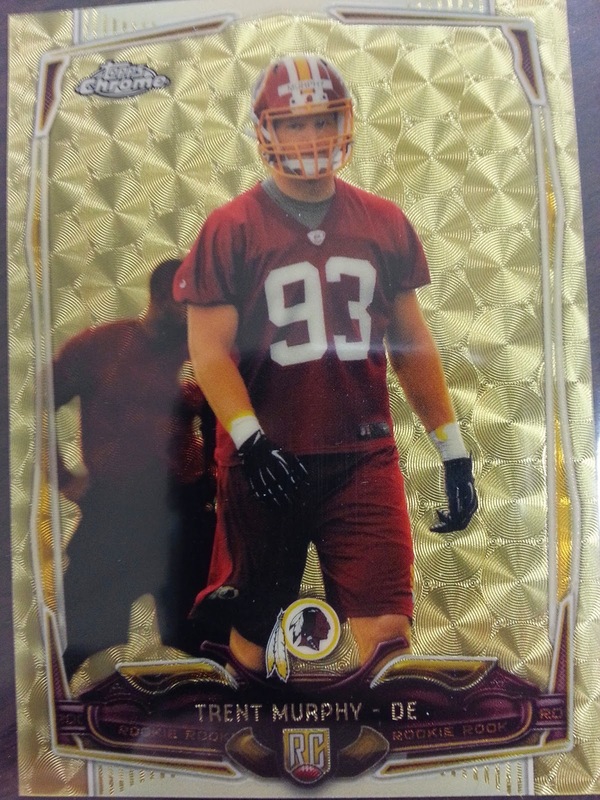 500 Winners receive "Exclusive Panini Trading Cards." 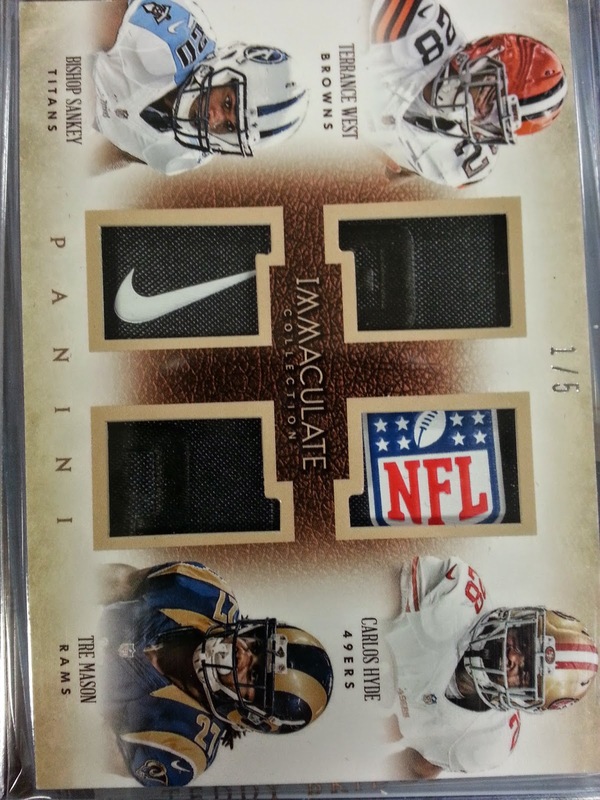 2014 Immaculate Football ($375 per box) continues to deliver the Super Hits at "The Super Hit Factory." Hobert came back for more Immaculate and pulled these beauties: Emmitt Smith Auto, Joe Montana Auto, Mike Evans, and Terrence West Nike Swish Jersey Patches. 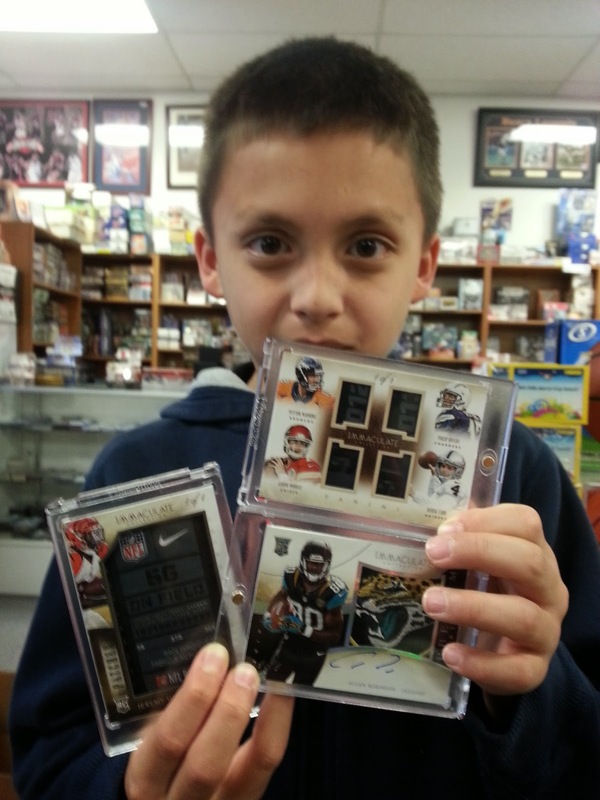 This collector helped his dad open a couple of boxes of 2014 Immaculate Football. Their favorite hits include these THREE 1/1s. Can you keep a secret? 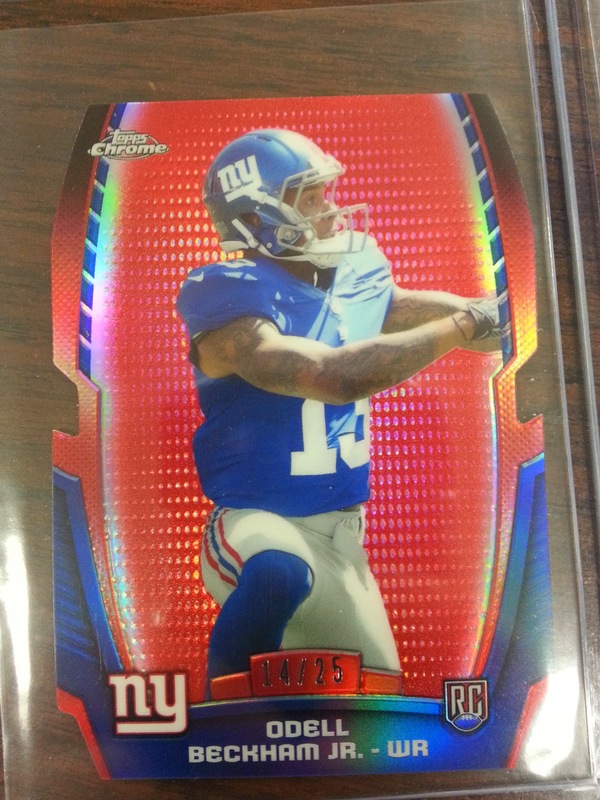 2014 Topps Chrome Mini Football production is only about 1/5 that of the regular Topps Chrome Football. The big hits are MUCH easier to pull! We've seen all kinds of great pulls from just a couple of cases. Don't miss out on this product. We had a ton of great hits this week at The Super Hit Factory. If you didn't make it in this week, here is what you missed.